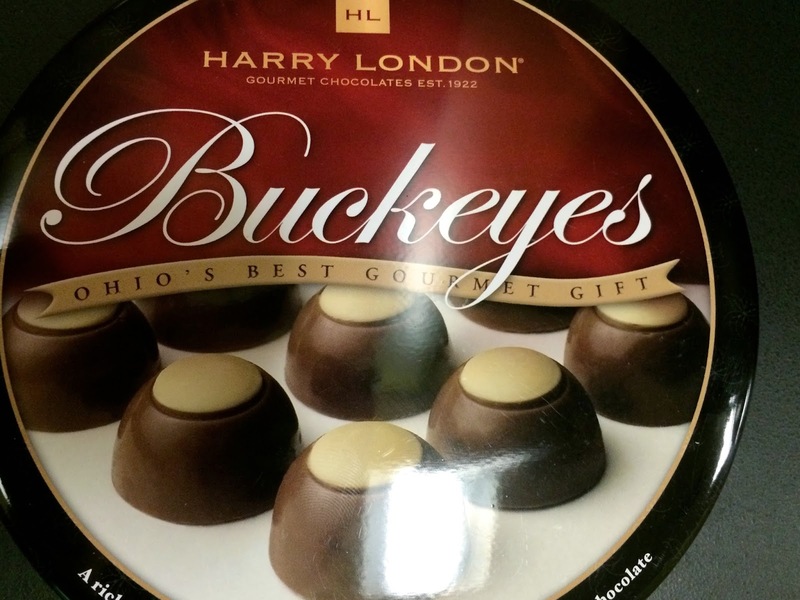 Recently some colleagues attended a conference in Ohio and brought back a selection of Buckeyes, a traditional candy native to Ohio. Apparently the chocolate dipped peanut butter bonbons got their name because of their resemblance to the nut of the local Buckeye tree. They are delicious. I don't know exactly why the candy has never spread beyond the state borders because it's basically a creamy peanut butter candy contained within a chocolate wrapper and the taste is sensational- like a creamy softer version of a Reese's Peanut Butter Cup. 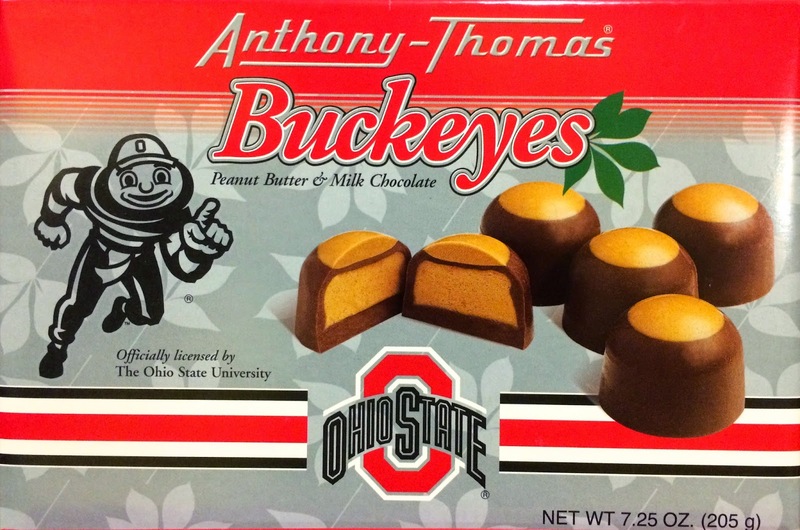 I was able to sample two brands- Anthony Thomas Official Ohio State Buckeyes and Harry London Gourmet Buckeyes. They were both really good. The ones by Anthony Thomas were a bit softer throughout, milkier overall. I wouldn't be able to cite a favorite between the two, although I'm sure if I delved further into the world of packaged Buckeyes I could really begin to understand what constitutes a "superior" Buckeye. 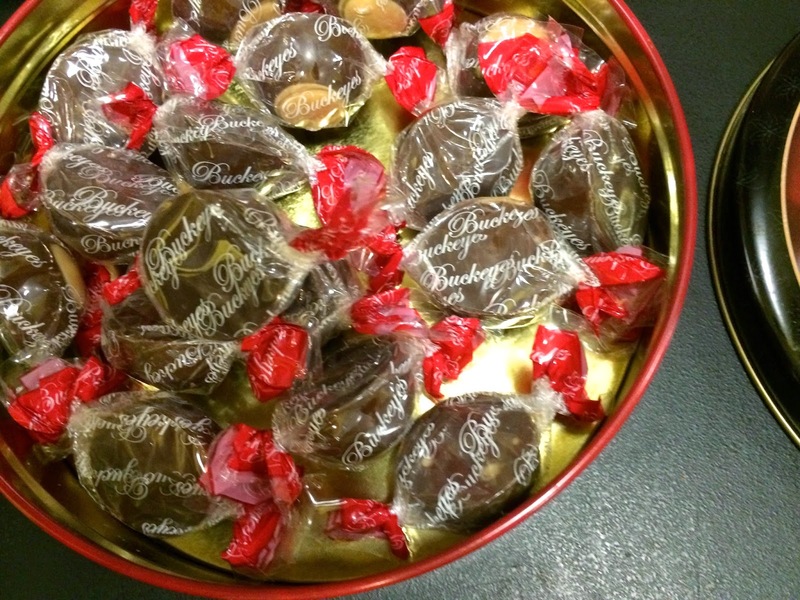 Have any obsessivsweets readers encountered Buckeyes before? Do you have a favorite brand or recipe? Thanks to my colleagues for sharing these treats! Oh, I want to try these! Road trip to Ohio, anyone? Are they distributed all over Ohio or just a specific region? Mix the above until stiff yet smooth. Refrigerate overnight. Roll into bite-size balls. Refrigerate again. 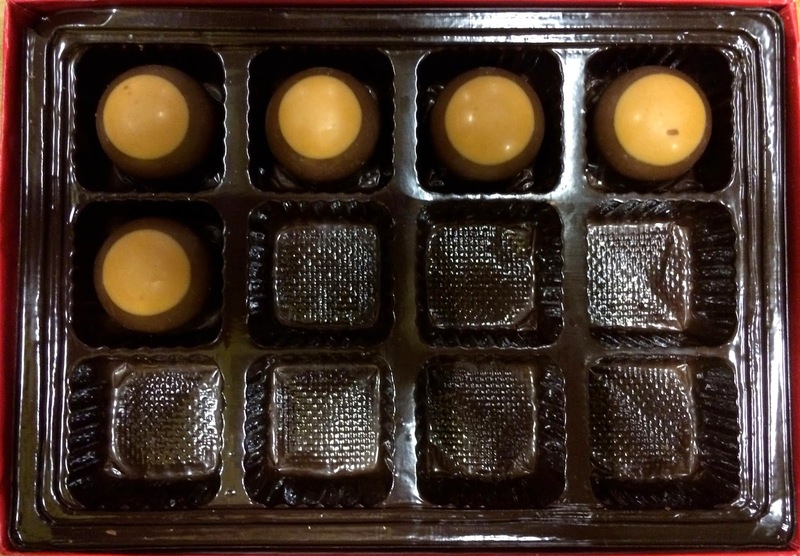 Dip into melted dipping or candy-making chocolate leaving a spot of the peanut butter exposed so it looks like a buckeye, Place on waxed paper until chocolate hardens. Easy-peasy! .Store at room temperature between layers of wax paper in airtight container.